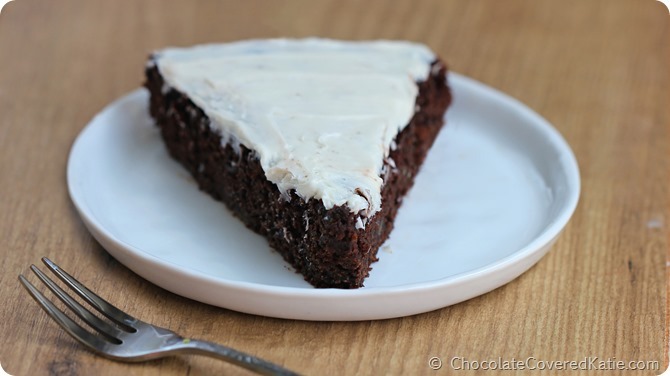 A healthy & surprisingly delicious avocado chocolate cake! 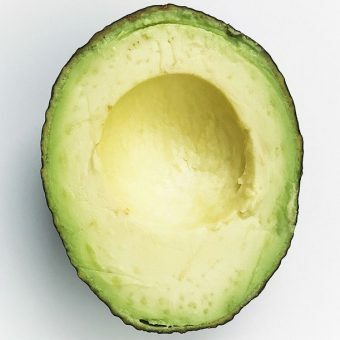 I once read somewhere that you can sub avocado for the oil or butter in a recipe to add nutrition, cut back on fat and calories, and give baked goods a deliciously soft texture. 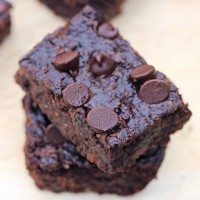 So when a reader recently left a comment asking what she could use in place of the nut butter in my 100 Calorie Chocolate Cake, avocado was the first thing that came to my mind. Immediately, I had to try it out. 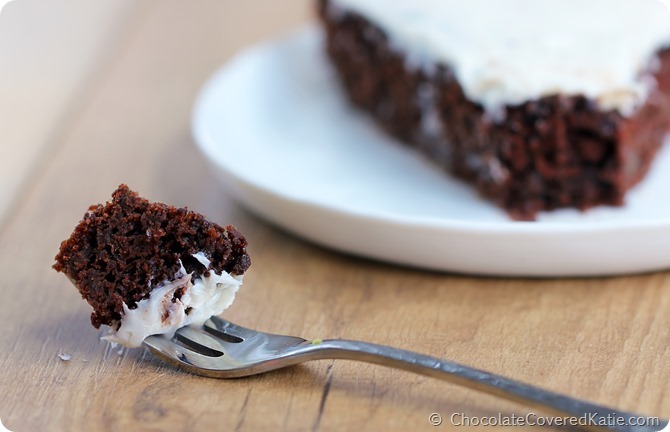 A super rich and fudgy chocolate cake with an incredibly light texture. Shown above, frosted with my favorite Healthy Cream Cheese Frosting. 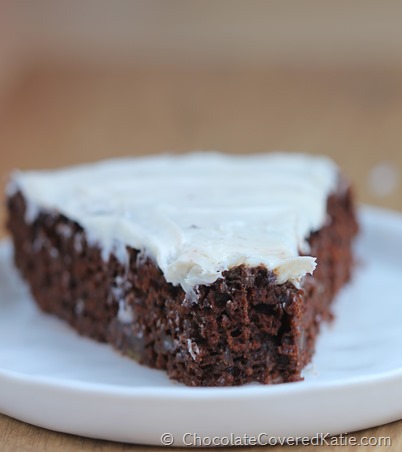 You can use any of your favorite chocolate or vanilla frosting recipes here—or lightly dust the avocado chocolate cake with powdered sugar or even top it with coconut butter and fresh berries if you’d prefer. So I cannot tell you how excited I am that this avocado chocolate cake turned out so perfectly! You won’t be able to taste the avocado at all! 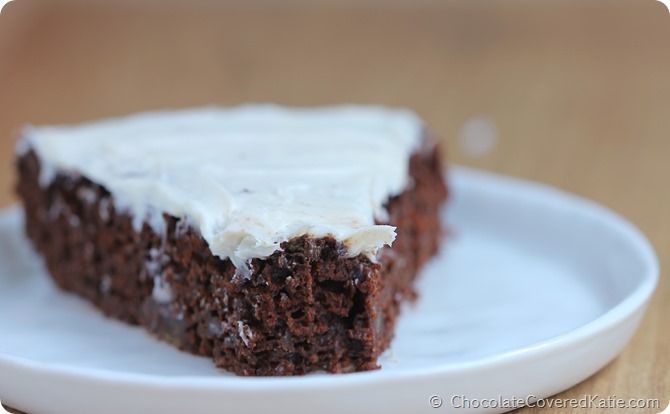 Avocado Chocolate Cake Recipe: Preheat oven to 350 degrees F, and grease an 8-in square or round pan. (Or double the recipe for a double-layer cake.) Set aside. In a large bowl, combine the flour, cocoa powder, baking soda, salt, optional chips, and sweetener, and stir very well. In a separate bowl, whisk together all remaining ingredients. Pour wet into dry and stir until just combined (don’t over-mix), then pour into the greased pan. Bake 25 minutes or until batter has risen and a toothpick inserted into the center of the cake comes out clean. 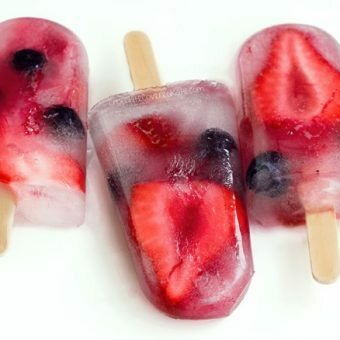 Put in the fridge for at least 30 minutes before taking even a single bite. Trust me! Have you ever tried eating avocado in an unconventional way? 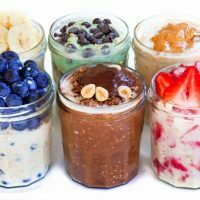 Such as in chocolate avocado pudding or an avocado smoothie? Would you ever be brave enough to try baking with it? 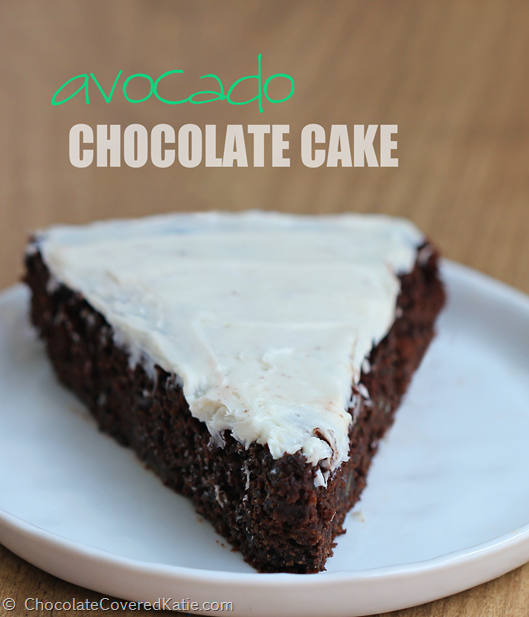 Will you try this avocado chocolate cake??! 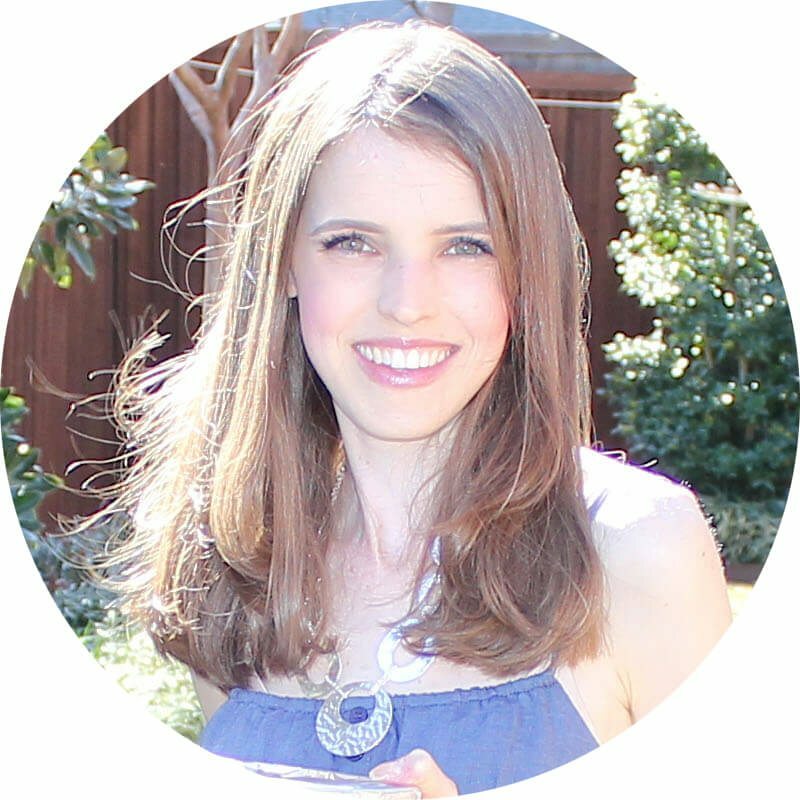 Previous Post: « New Blog Feature & New Photos! Looks great! 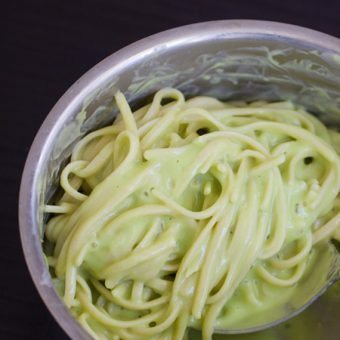 Just another suggestion for icing: I’ve made avocado icing before too, and it’s deliciously creamy and buttery! I’m always looking for ways to use avocado! 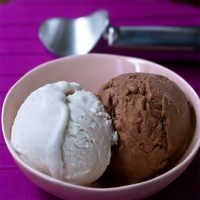 I get bored of the sucker- I love the chocolate mix idea! We have been trying to make a good “avocado” cake but honestly I haven’t been able to make one that stays together. I’ve had avocado ice cream! It is surprisingly not-weird at all 🙂 I love it! Maybe I could top this avocado cake with some avocado ice cream… The print option is amazing and looks great! 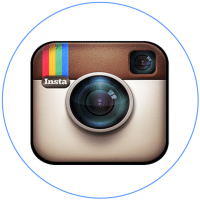 Love your blog by the way! 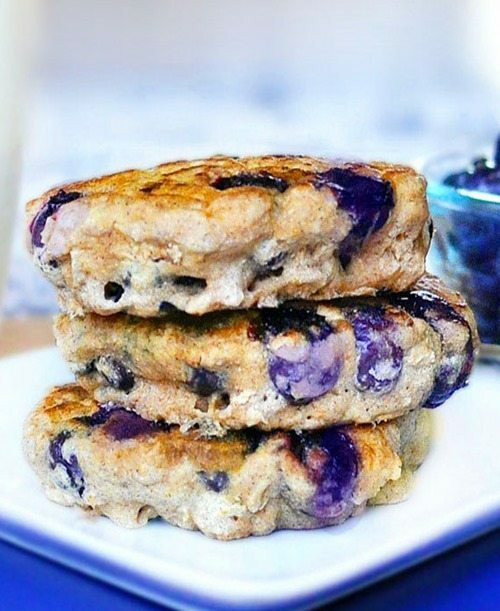 Home to the best healthy recipes on the Internet! 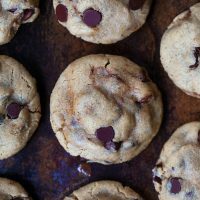 I’ve had success with avocado in cookies, brownies, banana bread, and smoothies. But the key is that the ‘cado needs to be ripe. I told a friend to sub ‘cado into regular boxed brownie mix and didn’t realize that she hates them, therefore doesn’t know ’em. She bought a bright green, hard as a rock ‘cado and had much difficulty getting it mashed and disappeared into the mix. 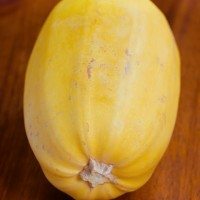 But if it’s a dark, soft, ripe cado – it is seriously the best fat substitute! Can’t wait to make this cake – I’ve yet to find a bad recipe on here!! This looks delicious! 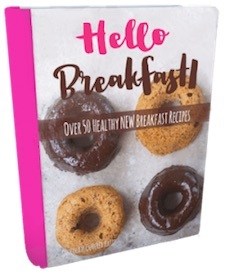 And congrats to the new feature, I love to be able to just print your recipes now! Other than that I’ve made avocado chocolate pudding and key lime mousse which both is delicious. Cannot wait to try this recipe! Loving the new print option…. thank you!! I use mashed avocados in my chicken & tuna salad instead of the mayo. So good and so much better for you! 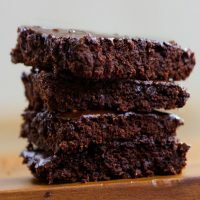 I love to use avacado in baked goods and have used it in brownies to replace the oil (sorry yours did not turn out ;-( )…have made pudding with it from the amazing Angela of Oh She Glows – great recipe! And use it each morning in our smoothies – so thick and creamy! 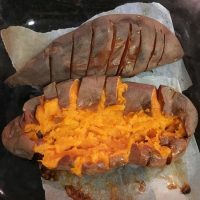 Can’t wait to try this recipe – thanks so much! This looks amazing! 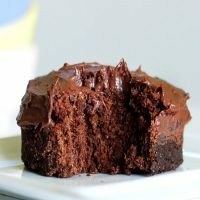 I’ve made chocolate avocado cake before and loved it. I can’t wait to try this version. 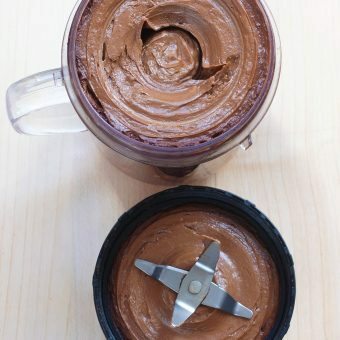 I also love chocolate avocado pudding and adding avocado to green smoothies. Katie, I’ve been wondering… Your arm must be all healed, yeah? And are you still wanting a puppy? Thank you for asking! It is all better! Looks yummy! I’m not a huge fan of avocados so I am always looking for ways to sneak them into foods I do like and this seems like a perfect way to go. I tried avocado for the first time in South America a few years ago and didn’t like it much, but now I want to try it again! Are they expensive? Expensive in the States, I mean? I’ve never priced them here. It depends on where you go, but for a medium sized one, they usually range in 88 cents to a dollar each. They’re cheaper in the summertime. Had to laugh at your comment about abysmally awful:) I’ve had a few recipe creations that would warrant those terms! Will definitely be trying this; the cake looks amazing! 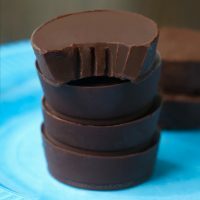 This looks awesome – what would you recommend if I wanted to make these as cupcakes instead of a whole cake? I’ve never tried, but you can definitely experiment! Please be sure to report back if you do! I can have Chocolate and avocados! I’m there! 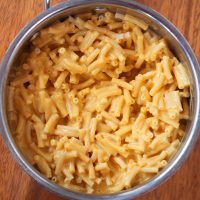 Love this recipe, going to try it this weekend. Thank u for sharing!